If you are enjoying your summer as much as I am, you probably fell in love with experiences you’d wish to do again and again! I personally found out I enjoy long distance driving a lot more than I expected, I got obsessed with chocolate coffee beans, and I accidentally found myself invited to a product launch party I’d totally attend again. 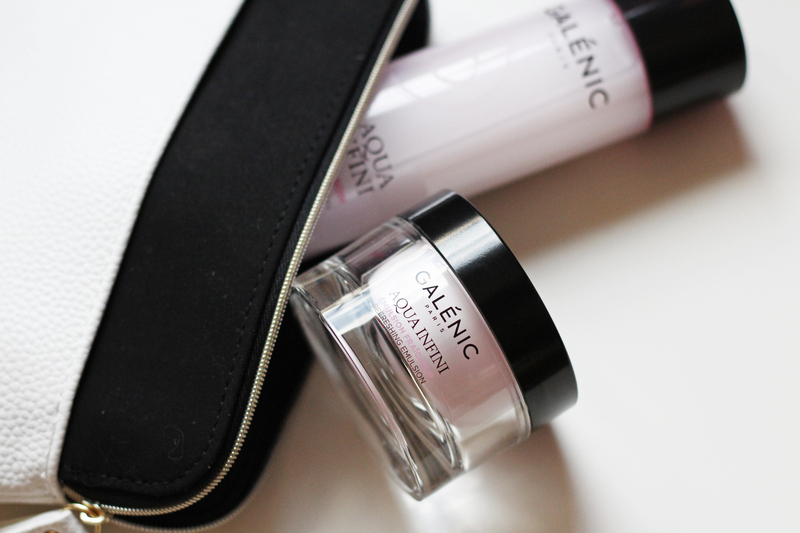 I am talking about the launch of the product line Aqua Infini by Galénic – a French cosmetics brand with founder Pierre Fabre. The creator’s idea was to design a brand which serves as a blend between pharmaceutical industry products and cosmetics which are pure pleasure for the senses. Aqua Infini is no exception for the high-quality standard Mr. Fabre was going for. I saw the originality of Aqua Infini when I learnt about its core ingredient – Stone flower, also known as the flower of resurrection. With its rejuvenating and extra hydrating powers, this formula ensures for a rich and immediate freshness. In nature, the Stone flower is known to be a never-dying, always finding water and self-preserving desert plant. This is why Galénic decided to use exactly this plant as a main active ingredient. Rarely do I get drawn by a product so much and so fast. I need time to test and try it out until I decide whether I like it or not. Aqua Infini was the rare exception. Maybe you already know I care a lot about keeping my healthy glow and protecting my skin to the maximum. The Aqua Infini Skin Care Lotion does exactly that. The liquid consistency of the lotion makes it easy and super pleasant to apply on both my face and neck. Just get some on your hands and tap it gently into your skin until it soaks in. The feeling is amazing! Same goes for the a bit thicker formula of the Refreshing cream. It is very light and smooth, easy to apply and dries into my face quickly. The Hyaluronic acid is among its active ingredients to help the skin retain water and leave it protected from external factors. Vitamin E acts as an anti-oxidant while the floral scent of lotus and peony, leave you feeling refreshed and super relaxed. Here’s my tip for you girls, go test Aqua Infini. For the ladies with normal to oily skin, I recommend using the lotion. You can integrate it in your daily routine and use it right after waking up and before going to bed. The Refreshing cream is for daily use. The Water Booster Serum and Refreshing Emulsion are for those of you with a little bit more dry and thirsty skin. No matter which one you choose, infinite comfort and radiance are guaranteed!